A country constructed by incredible beauty, fascinating culture and timeless heritage, Norway’s appeal is simple, it’s completely unforgettable. A place where adventures are just waiting to be had, where memories are waiting to be made and where sunsets are waiting to be photographed. This country is one of the best in the world for a cruise holiday. In this article, we look at the top 5 reasons why everyone should book themselves onto a Norway cruise. The first, and we think, the best reason to book a cruise to Norway is that it is best seen from the water. As a country famous for its shoreline, cruising Norway means you get to experience the most awe-inspiring part from a completely unique point of view. We spoke to a range of travel bloggers who have cruised and even lived in Norway, to find out why they agree with this. The midnight sun is an incredible phenomenon that only affects the northern and southern extremes of our planet. It means that the tilt of the Earth causes incredibly long summer days or absent winter days. In some cases, the sun doesn’t set or rise at all. Experiencing the midnight sun in Norway during the summer is an incredible thing to do on a cruise. Alaska is usually famed as being one of the best cruise destinations in the world for wildlife, but you shouldn’t discount Norway. In the northern areas of Norway before you even set foot on the shore you may be lucky enough to see whales below you and eagles above you. When on land you could be lucky enough to see myriad of arctic animals like reindeers and even polar bears on Svalbard. The culture in Norway is one of the things that makes people fall in love with it. As part of Scandinavia, you are guaranteed a welcoming and warm reception wherever you land. The locals here are very proud of their country and are keen to show it off to visitors. Megan told us what about how it captured her heart: “I fell in love with Norway from the town I lived in for a year, Osøyro. Located close to Bergen, the town sits on the Bjørnefjord and offers incredible views of the fjord, nearby mountains, and the Folgefonna Glacier. I grew up in cities with a lot of hustle and bustle, so the adjustment was a bit difficult but having the raw nature at my disposal actually kept me energised and positive most of the time. I absolutely loved it." The final of our five top reasons to visit Norway on a cruise is the Northern Lights. This amazing fete of nature is a bucket list item for many people, all around the world, and for good reason. The first moment you see the sky filled with bright colours you’ll be lost for words. During the winter months, Norway is one of the most popular places in the world to try and catch this natural light show, and many people have been lucky enough to see them from their ship. 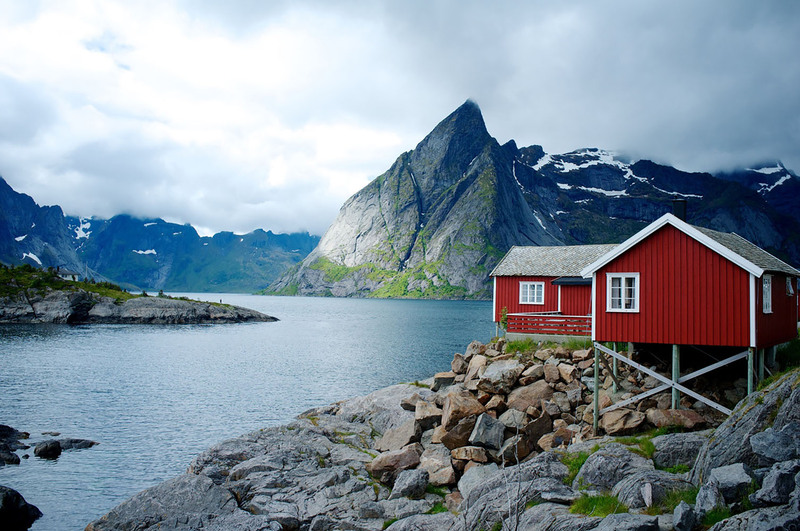 So there it is our top five reasons why you should visit Norway on a cruise. There are thousands of reasons everyone should go to this amazing country, and we’d love to hear some of yours!